Montreal, September 27 2004 - The Automobile Protection Association (APA) announced that it has filed a motion to authorize a class action in Quebec against the Ford Motor Company on behalf of owners of certain 1997-2003 pickup trucks and sport utility vehicles. In its action, the APA is alleging premature wear and outright failure of components in the steering system. Vehicles concerned include the popular 1997-2003 F150 and F250 (except Super Duty), as well as the 1997-2002 Expedition and Navigator. Approximately 300,000 vehicles were sold in Canada and 4.4 million in the United States. According to the APA, the tie rod ends in the steering system of these trucks can wear prematurely and actually separate in some cases, leading to a sudden loss of control. APA President George Iny said the risk to occupants is compounded because impending failure of the part cannot be determined with the inspection procedure routinely used by mechanics. 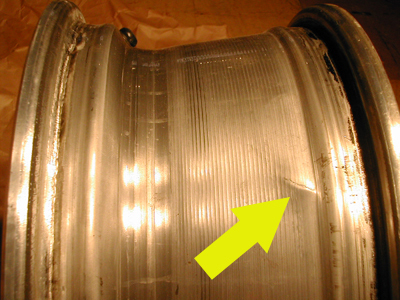 “Advanced corrosion in the part does not result in the conventional amount of lateral freeplay”, he said. The APA has received about 70 reports of premature tie rod wear or separation from consumers in Canada and the northern U.S. Among them, about 40% reported a loss of control; damage is minor as most incidents occur at low speeds. The APA field tested a pickup with the tie rod end disconnected and determined control was indeed adversely affected under certain conditions. 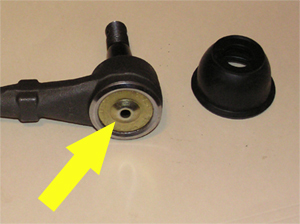 It is also possible for a detached tie rod to lock the related front wheel on vehicles with alloy wheels. The results of APA’s track test were filmed by La Facture, the CBC’s French language investigative show and can be viewed on their web site. Interestingly, Ford Canada told La Facture they were not aware of any incidents involving property damage although there have been several reports in the U.S. and Canada. Last May, Ford sent a notice to owners that informs them of a revised inspection procedure and asks them to keep the letter in their glove compartment! There is no offer in the letter to pay for the inspection. 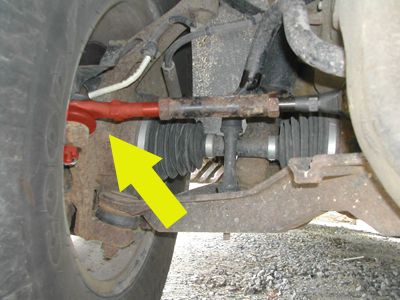 Have their vehicles inspected immediately for tie rod wear by a Ford dealer. One dealer contacted by the APA said the inspection would be at no charge if performed with a small service like an oil change. If Ford is not paying for the repair, request the more robust Moog replacement part. The ball and socket are of a more robust design that will not come apart after they wear. 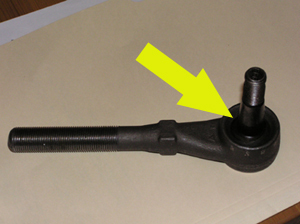 Request your old part and contact the APA if a tie rod end has worn prematurely or has separated (apa.ca). 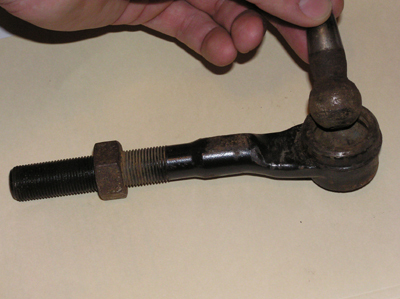 The APA is collecting worn tie rod ends for analysis. This aluminum wheel was damaged by a disconnected tie rod end. The tire then lost its air pressure. has worn. It has failed allowing the ball to separate from the socket.